For years, The New YorkTimes has been “failing,” according to President Donald Trump. It’s once-sterling reputation as “the newspaper of record” has diminished significantly in recent years. The unadulterated liberalism of the newspaper and changing habits among readers have led to a massive decline in print subscribers and advertisers. While The New York Times has supplanted that revenue with digital subscribers and advertisers, the overall impact of the newspaper has certainly declined. It is regularly lambasted by President Trump and other conservatives for bias and for good reason. 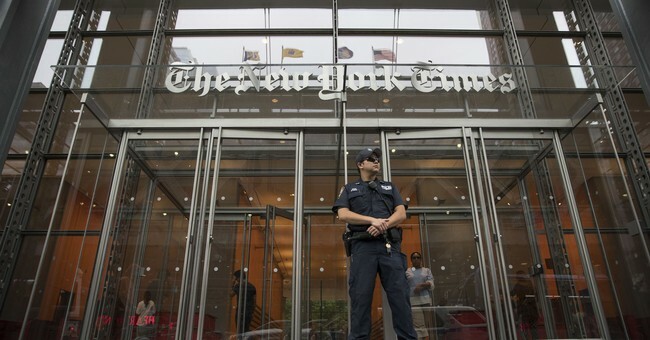 The latest example was revealed this week with the controversial hiring of Sarah Jeong as a member of The New York Times editorial board. Certainly, this justification is laughable and such extreme consideration would not be extended to a white journalist with a record of tweeting hateful comments toward members of any other race. The newspaper had no qualms about firing technology columnist Quinn Norton when her anti-gay and anti-Black tweets were unearthed. Presumably, in the view of The New York Times, charges of racism are reserved for white people only, especially those who are conservatives. To make matters worse, Jeong also has a history of tweeting hateful comments about men. In 2014, she tweeted a desire for people to “kill more men.” She said that if only “bad men” were killed that would include all men. Thus, the voluminous online record of Sarah Jeong includes vile posts about men, police officers and white people. Despite these horrific revelations about Jeong’s online history, The New York Times refused to reverse their decision to hire her. The newspaper even admitted that it had reviewed her tweets before officially extending an offer to her. When actress Roseanne Barr made one unfortunate and racist tweet about a single individual, the entire media world pounced on her and demanded ABC fire her. Of course, within hours, the network complied, and Barr was fired from her popular TV show. Only a few months later, The New York Times seems to have no concern that their new editorial board writer has expressed hatred toward millions of Americans based on their skin color, gender or occupation. These newspaper executives do not even care that large groups of their readers may be offended by Ms. Jeong. The only thing that matters is strict adherence to liberal and politically correct ideology. Since Jeong is a minority and was supposedly the subject of some online harassment, she has been given much greater latitude in her social media posts. This support for anti-police, anti-male and anti-white hatred speaks volumes about the state of journalism today, especially at newspapers like The New York Times. It is little wonder why the 63 million Americans who voted for Donald Trump have such contempt for the mainstream news media. Clearly, it is well deserved.